Coming up with a blog or a business website can be quite exciting. If your website is asking people to subscribe, selling products or services, providing valuable information, or setting up Google Analytics. In any of the cases, creating legal pages would be a wise decision. WPLegalpages has been downloaded more than 10,000+ times on worpress.org and increasing as you read this. It is widely used plugins out there. Equipped with a variety of cool features, it’s going to make the process seamless for you. How Can WPLegalPages Help You? Equipped with a fantastic set of features and 25+ Policies, this plugin by WPeka is here to take away all of your worries. Of course, writing content for a legal page is not a cup of tea for everyone. Moreover, a majority of people aren't even aware of what goes into these pages, unless they browse through examples available on the internet. 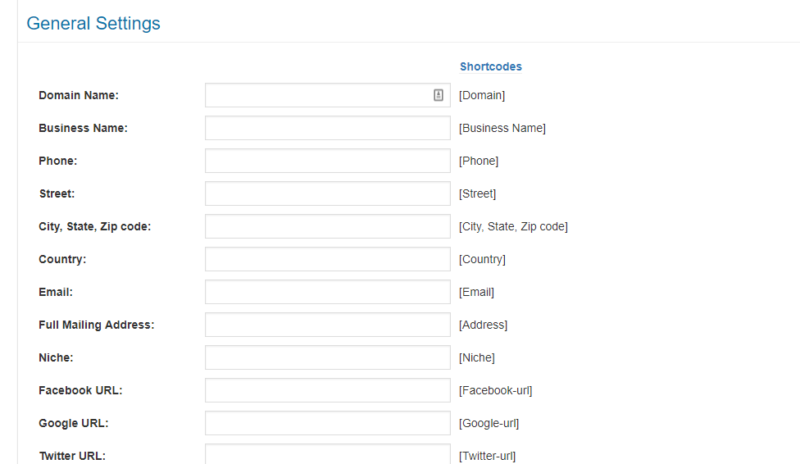 However, this plugin eliminates the need to write content and curate pages on your own. 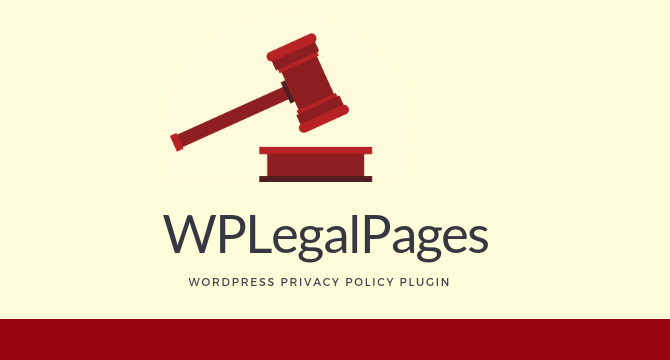 WPLegalPages offer you more than 25 inbuilt templates that have been designed under the guidance of experts and by keeping internet laws and protocols in mind. Whether you're collecting data from your visitors or running adverts on your website, in either of the cases, it's essential for you to follow the EU Cookie law so as to stay away from the legal troubles that may arise in the future. WPLegalPages come with an independent template that follows this law. Through this, you can create a relevant page and keep your visitors updated regarding your policies. When it comes to installing, activating, and using this legal page generator, the process is pretty simple and straightforward. Follow these necessary steps, and you're almost done. Your plugin will be activated instantly. 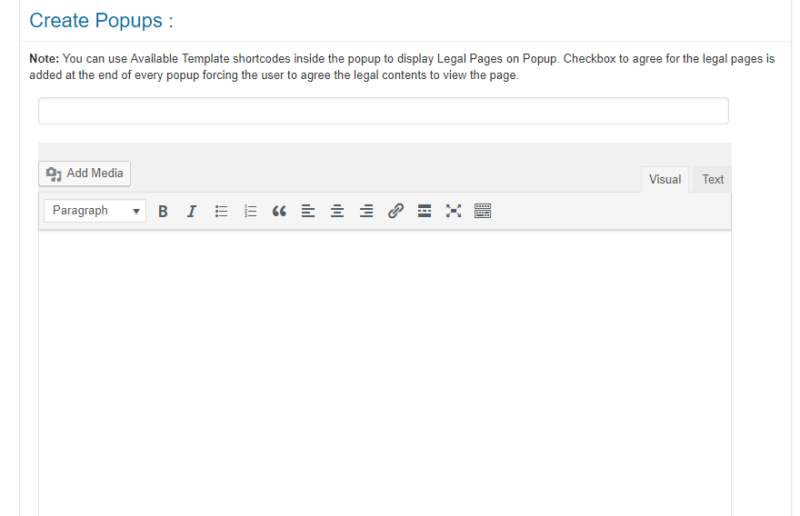 Once done, you can choose the required template, edit the content, and hit the Publish button. The world wide web is impacted by several laws and norms. And, the only way to comply with them is by displaying respecting privacy on your website. Your website would contain original content in different forms. Be it text, images, or videos, right?. Including a copyright notice can protect your site from being attacked by plagiarists. If your website is collecting data from users. Whether in the form of personal information or cookies. Having an adequate policy page on the site helps to establish transparency between your business and users. 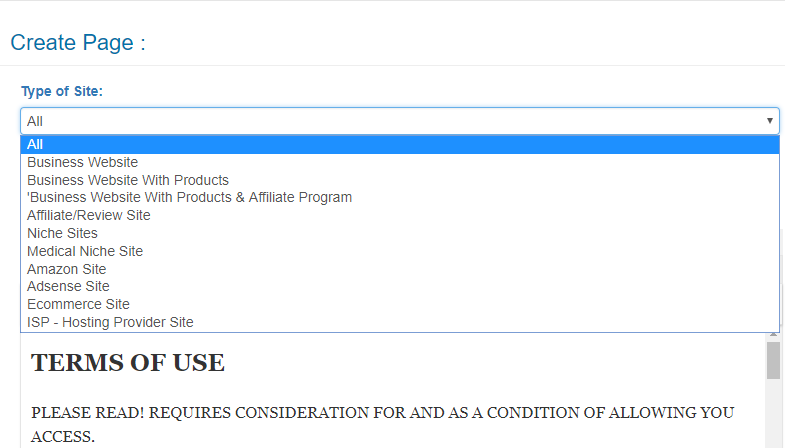 By having terms and condition page on the website, you tell your users about what is allowed and what isn't allowed on your site. Across the world, the rules are different, and their demands differ as well. Being a website owner, your responsibility just doesn't end by understanding the types of legal pages available out there. However, you must also be wary of the penalties that you may have to face in case you fail to put up to the laws of the internet.